Lane County has funding this year to help residents in unincorporated Lane County spay or neuter their pets. You can qualify for $100 in vouchers for dogs and $50 for cats. This includes a free first year county dog license. The application, available at our office, verifies that your address qualifies and you meet the income requirements. For example, a family of 4 can make up to $48,500 and still qualify. We have always kept our fees for spays and neuters affordable as a service to our community and to encourage people to get this done for their pets. 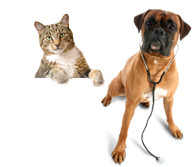 These vouchers will cover a large part of the surgery, if not all, depending on the size and age of your pet. Call if you have any questions. Oregon State Fair August 28 – Sept 7, 2015.